Posted on September 21, 2016 at 2:03 pm. I feel that the Ashram is sacred ground, that the land itself has wisdom and that our intention is to live lightly on it and to offer spiritual refuge. Sacred ground is home to sacred teachings – sacred because the purpose is simply to help – to be aware, to heal, to ripple out goodness to others. In this newsletter, you will meet a diverse group of people including a thoughtful family, strong Indigenous leaders, women standing up for women, and young adults learning through hands-on practice. We also update you on the construction of the Temple of Light that symbolizes the essential unity drawing us toward peace and expanded understanding. 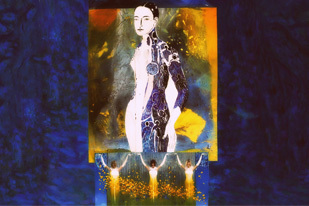 As fall approaches, I am reminded to seek the fleeting balance of the equinox – the inner and outer, the light and dark. I feel deeply grateful for the warm and cool beauty of September and for the opportunity to live a meaningful life, open to the wisdom in all traditions. Give yourself ten days to expand your understanding of who you are and who you want to be – ten days reprieve from stress in a safe and nurturing place of reflection. For students of all levels, this course offers practices that support your personal and spiritual development. Watch the video. What is the mind? What are its tendencies? How can it be directed? 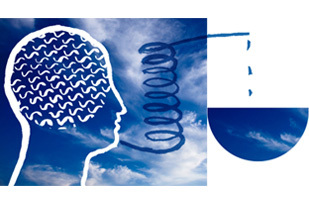 Learn various practices – including visualization, breathing techniques, concentration and reflection – to help you understand different levels of mind and to approach the mind’s expansive potential. This program is for anyone interested in living in a spiritual community to explore work, develop self-knowledge and gain skills. 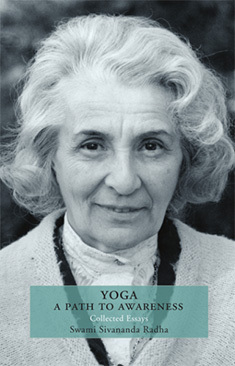 Experience yoga and work in a truly transformative way! Special Offer for 2016 only! Come for three months and pay by contribution (value of $2,475). 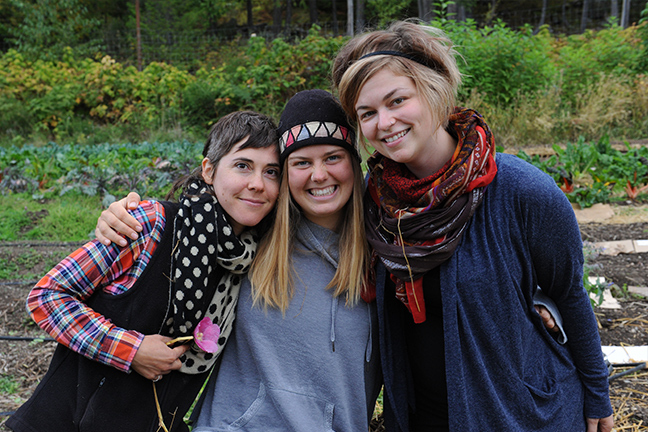 The YDC is an intensive three-month program designed to expand awareness through personal and spiritual development. 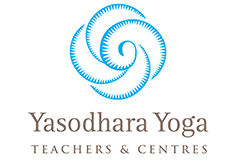 Built on a series of integrated workshops that weave experiential learning with various practices of yoga, the YDC offers powerful tools for transforming and enhancing life. Watch the video. Videos: Temple of Light – Action! 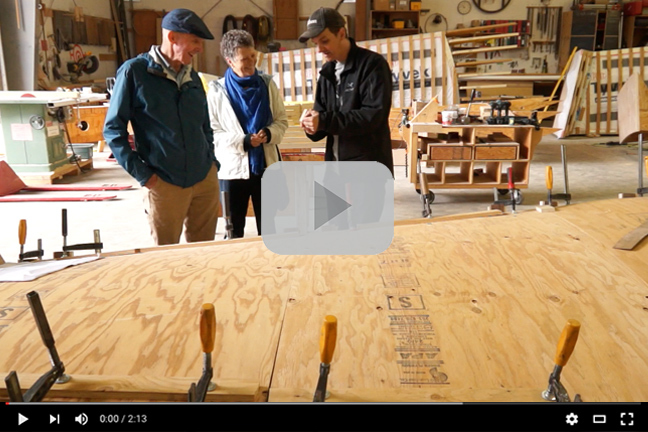 These three short videos will keep you updated with the progress of the Temple of Light. We are expecting components of the Temple to arrive in early October and be assembled starting after the Thanksgiving weekend! Meanwhile foundation work continues onsite with forms being built and concrete poured in the upcoming weeks. Check our webcam for ongoing action shots. 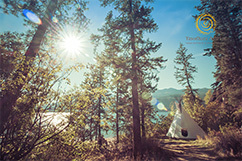 Shaun Alsford and Sandra Vandenhoff from Calgary are using our new fundraising platform to raise one million dollars to support the rebuilding of Yasodhara Ashram’s Temple of Divine Light. How are they doing this? One small step at a time. She got in touch with our fundraising team who has just put together a new method for anyone to raise funds for the Ashram anytime throughout the year. The new platform is connected to our CanadaHelps donations page and replaces our annual Yasodhara 108 fundraiser. “This is a way for us to ask that handful of people for support in a small way. And they can ask their friends, and they can ask their friends. We need the ripple effect to spread and make a big impact,” says Sandra. Find out more about their Million-Dollar campaign or sign up to start your own fundraising project. 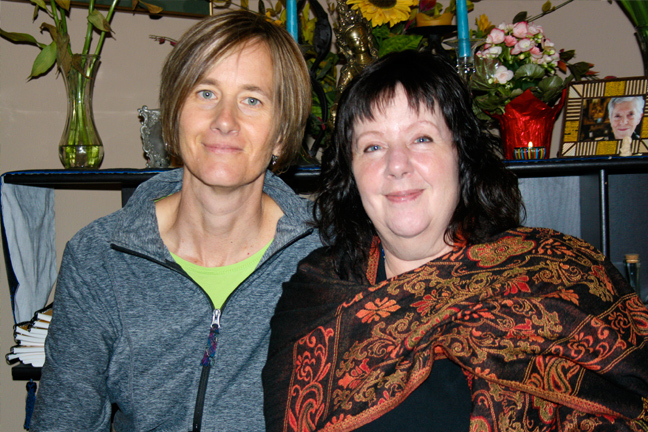 The Wolska-Chaney family of Calgary regularly comes to the Ashram to refresh, grow and share. Agneiszka Wolska and Kevin Chaney along with their children Kalina (11), Tosía (10) and Emmett (6) spoke about sacred space and the Temple of Divine Light. The Ashram welcomes families with children of all ages to experience our community. The 10 Days of Yoga in August attracted a medley of international participants who enjoyed reflecting on their shared experience. This 10-Days of Yoga course also included people from the US, Canada and originating from Australia and England. The Ashram welcomes people of all ages and backgrounds. 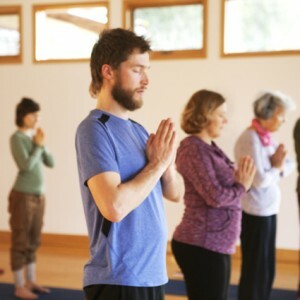 Come for your own experience of the 10 Days of Yoga scheduled for October 13-23. The latest from Finding Yoga columnist Bryn Bamber on getting unstuck. Learning Residencies at the Ashram offer each participant the opportunity to take a leadership role in Ashram management and acquire applicable skills for the future. Of our five Learning Residents (LR) this year, the three garden LRs are staying on to see the season transition through autumn. Pamela Stockman, Jill Martin, Christine Comeau, Amy Thorne and Sofia Scheuerman were the Learning Residents over the summer of 2016. Our 2017 Learning Residency positions will be posted in the New Year. Earlier this month the Ashram welcomed special guests Wanbdi Wakita, Pahan Pte San Win and Cathy Hamilton – all from Manitoba. We enjoyed a warm time together, rich in friendship and learning. While at the Ashram, Wanbdi, Pahan and Cathy offered Indigenous medicine and songs to the Ashram’s land and buildings with special blessings for the new Temple of Light. They also gave an afternoon of teachings and conducted a deeply moving Pipe Ceremony in the tipi. Wanbdi Wakita (“Looking Eagle”) is a Dakota spiritual leader who has devoted his life to teaching and healing and continues to share his culture with anyone who asks for help. In July 2016, he received the Order of Manitoba for his work to support the healing of individuals, communities and the relationship between First Nations and non-First Nations people. Pahan Pte San Win (“Grey Swan Buffalo Woman”) is a counseling therapist, particularly proud of her work with Indian Residential School Survivors. Pahan, a ceremonial leader and sundancer, has a vision to lead an all-women’s Sundance dedicated to the murdered and missing Indigenous women. Cathy Hamilton also known as Pte Ho Waste Win (“Good Voice Buffalo Woman”), is a counseling therapist who met Wanbdi when seeking guidance in helping First Nations children in a school setting. She became Wanbdi’s adopted sister and is herself a ceremonial leader and sundancer. 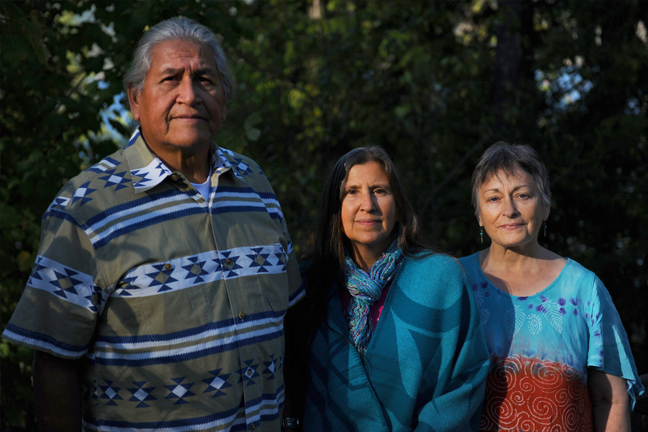 Please see their website at bearpawtipi.ca. 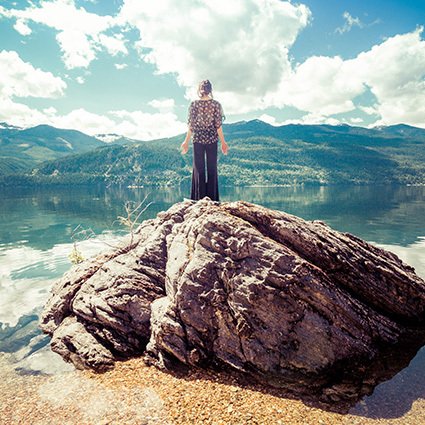 To find out more about the Women’s Sundance, contact Pahan at sundance@bearpawtipi.ca. 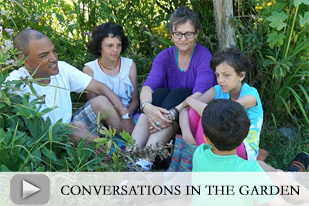 Guenevere Neufeld joins us as a columnist for the Ashram Blog. In her first column, she reflects on the role of women in the world and at the Ashram, noting where those roles intersect and where they differ. 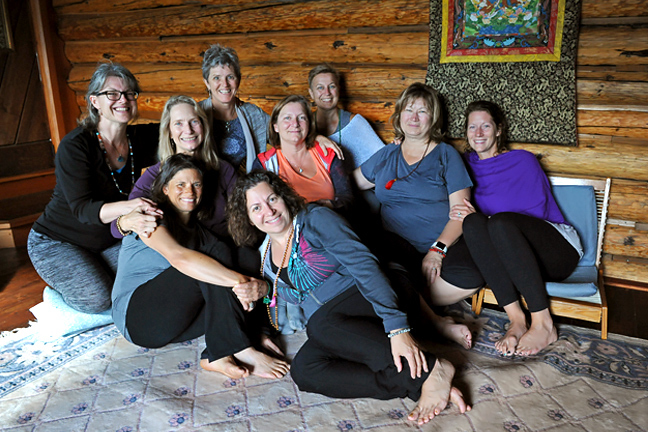 Intuition led Yvonne Werkmann of Didsbury, AB to bring a group of eight women to the Ashram for their own spiritual retreat. She talks about how the setting and service more than met her expectations. Find out more about bringing your own group. 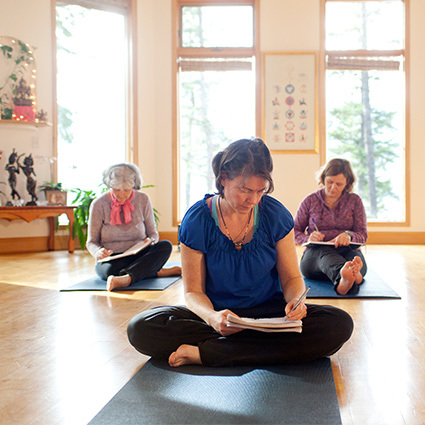 Yasodhara Ashram is different from most retreat centres. The welcome was magnanimous. Every comfort is attended to in the most simple and loving way. We wanted a safe place for women to work on their spiritual development. We walked in and immediately felt the decades of work here. Everyone in our group agrees that this location gives a feeling of being cradled in the arms of Divine Mother. This allowed so much freedom and blossoming and allowance of Self to arise. Some beautiful healing happened as the women got in touch with themselves. Just like the Ashram, my lineage of yoga and mantra therapy is focused on the Divine Feminine; many synchronicities happened. The face of the goddess is everywhere. Watching the bees, She was so present. I feel we are the subversives – teaching love as an underpinning in the world. The amazing food, the practice of eating in silence, the ability to be grateful for everyone – the whole experience affirmed that I was distinctly called here for a reason. Our eastern fall Teachers on Tour program kicked off with a Transitions weekend retreat for 17 participants offered by Swamis Matananda and Satyananda in a beautiful rural setting between Ottawa and Toronto. They returned to the cities for workshops in Halifax and Montreal, followed in coming weeks by Ottawa and Toronto. 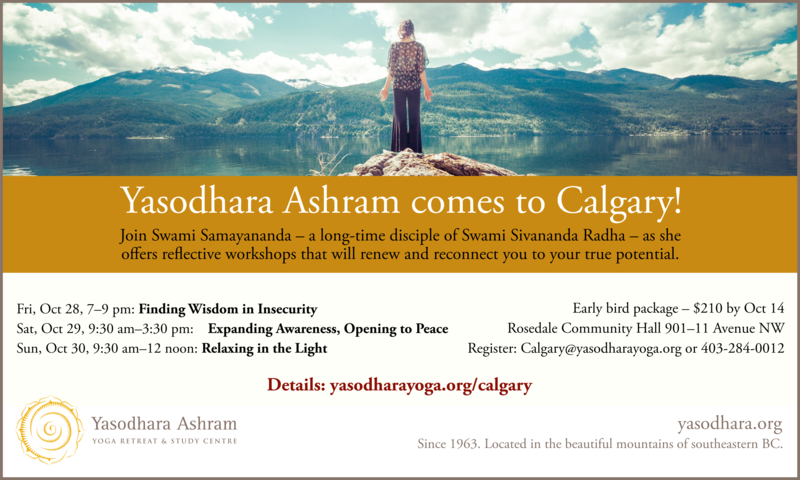 In October, Swami Samayananda travels to Calgary and Edmonton with innovative workshop titles that are sure to pique interest! She also offers an afternoon Care for Caregivers session at an Edmonton conference for respiratory technologists — a wonderful way of sharing the teachings with new audiences. Local School Collaboration – As the fall school season starts, we look forward to working with the local Crawford Bay Elementary Secondary School in several program areas. 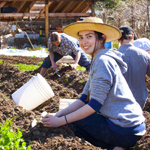 We will support their pilot Homesteading and Survival class with opportunities for grades 7 to 12 to learn in our garden and preserving kitchen. And our resident teachers will offer mindfulness and yoga classes in the school, building on the kindergarten-to-grade 3 sessions piloted in June. We welcome ways of supporting our East Shore community! Teacher Certification – Congratulations to the newly certified Kundalini and Dreams and Hidden Language teachers. 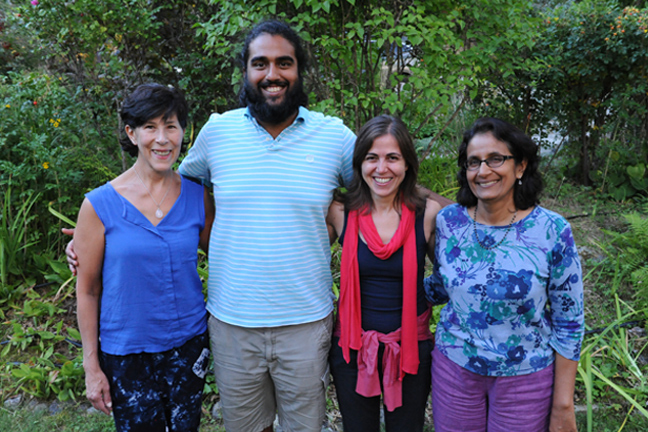 This summer seven new Kundalini and Dream teachers took the certification course along with six teacher re-certifying. The Hidden Language course saw seven new teachers and four returning teachers take the training. Harvest Abundance – It began with an early bumper crop of cherries. Next our blueberries, raspberries, apples, plums and pears all had a bumper crop this year. Karma yogis have been processing each fruit as it ripens. Five Senses and the Mind – Explore the five senses and your mind – the sixth sense with these reflections from Yasodhara Yoga Ladner. Mind as a Sacred Vessel – Dive into this exploration of the mind with these reflections from Yasodhara Yoga Ottawa.